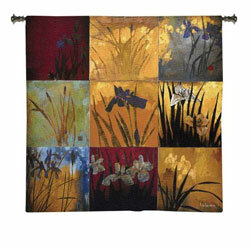 Beautiful landscape tapestry for your walls. 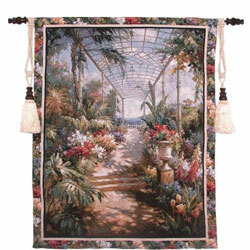 Traditional floral motifs and modern floral still life jacquard woven tapestry for home decorating. 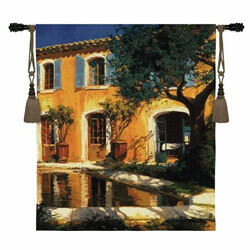 Columns and other architectural details in a traditional wall tapestry. 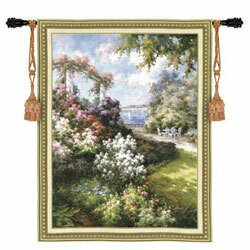 Take a stroll down a garden path, visit a quiet village, gaze out over the water with one of these quality wall tapestries that bring the beauty of nature to life. 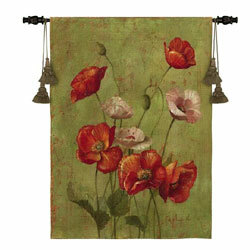 Birds, magnificent horses and other wildlife make beautiful wall hangings. 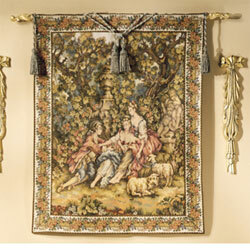 Classic hunting scenes, shepherds and other traditional tapestry featuring people. 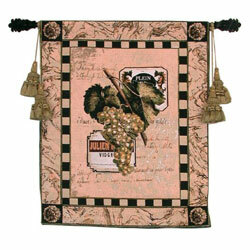 All types of fruit and wine grace woven tapestry for decorating your walls. 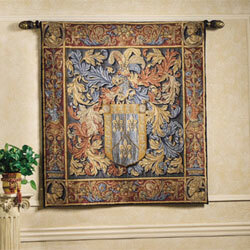 Regal and formal, these tapestries featuring crests and coat of arms are great for a traditional space. 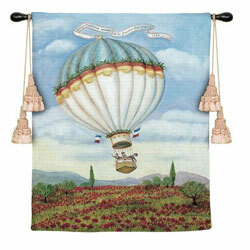 Modern works of art pair with the traditional warmth of a jacquard woven tapestry. 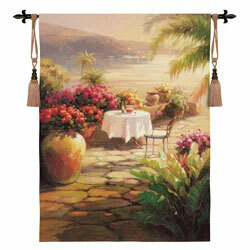 Palm trees and beach scenes make beautiful wall hangings. 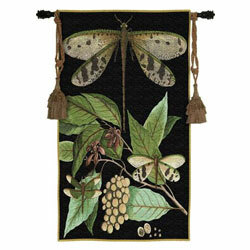 Leaves and insects and other natural elements make wonderful tapestry for your home decor. 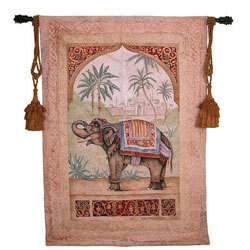 Hunting, golf and playing cards make this set of wall hangings a fun choice for that space just for him.